THE RECOMMENDATION: Kingsman: The Secret Service doesn’t take itself too seriously, which is a very very good thing. If it tried to compete head to head with other spy films, primarily of the like of James Bond, it would fall flat on it’s shoulders. 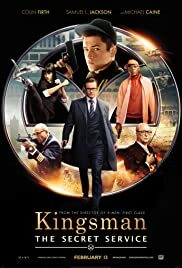 The depth and the respect, so to speak, is absent from Kingsmen but purposefully so and even referenced several times throughout by the characters because, “It’s not that kind of film.” By respect I mean the sense of duty and country that a spy like James Bond has. The Kingsmen organization is trying to save the world and there’s certainly respect there, but that feeling isn’t ingrained as deeply as it feels in other spy movies. But again, it doesn’t try to complete in those areas and instead focuses on areas it succeeds phenomenally at: action and gadgetry. One thing for certain is that this film brings some of the cool fun back to the genre.